Why Buy From Showcase Homes? Showcase Homes is a family owned and operated business that has been providing Modular and Manufactured homes,and always featuring some of the leading manufacturers in our industry to meet the housing needs of our Tri-State area for over 38 years. We are not here to just sell you a house; our goal is to assist you in selecting the home of your dreams. At Showcase Homes, our Housing Consultants are eager to assist you in customizing a new home to meet your individual wants and needs. In doing so, you will find “no hidden costs” or unwanted surprises during your purchasing process. There are a variety of options that Showcase Homes has to offer, including a “Turn Key Package”. With this package, you won't need to do anything - Showcase Homes can handle everything from start to finish, including helping you find land and even go as far as helping you obtain financing. 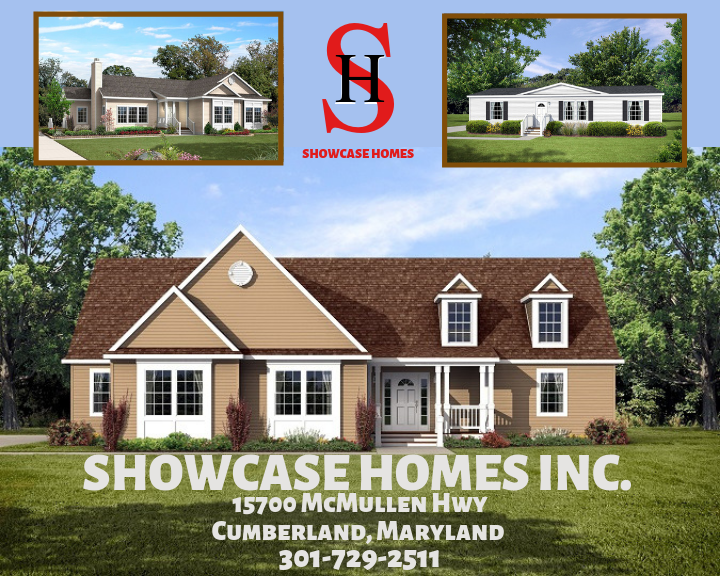 Showcase Homes, is an active member in good standings of the Maryland and West Virginia Manufactured Housing Associations and the Local Homebuilders Association. Our General Manager is an active member and President of the Manufactured Housing Institute of Maryland. What this means to you, is that we are committed to this industry as well as to our customers. We look forward to assisting you with your home buying decisions. Visit our display center today and see why we were recently chosen as the number one sales center for Manufactured Homes in our area by a local newspaper survey. We want to thank you for considering Showcase Homes, for your housing needs and look forward to welcoming you to the family of satisfied Showcase Home Owners.